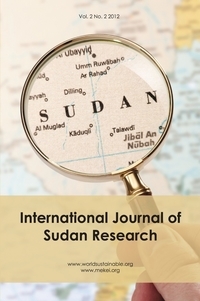 Purpose: This study aims at understanding the utilization of MRI in Sudan. The goal of the data analysis is to identify and analyze the different types of pathology diagnosed using brain MRI. Our goal is to understand the demographic age and gender distribution of patients, comparing the results with the literature, and finally correlating radiological findings with the histopathology diagnoses. Study Design: This is a retrospective, descriptive, analytical, study of a hospital database assessing brain MRI and corresponding histopathology reports. Brain MRI studies were performed in the period from January 2012 to January 2013 using a Toshiba aquilion 1.5 Tesla, 2008 (made in Japan) and corresponding histopathology reports were also obtained from same hospital records. Findings: A total of 1,540 patients underwent brain MRI during this period, of which 662 (43%) had brain pathology. These abnormal images were identified and subdivided into 322 (21%) clinically relevant and 340 (23%) with incidental findings with no obvious clinical relevance. The total number of brain tumours recorded in the series is 101 (7%), of which 34 (2%) are meningiomas. White matter pathology was recorded in 40 (3%) of brain images as the most frequently seen clinically relevant MRI finding. Paranasal sinus changes reported as sinusitis was seen in 120 (8%) representing (35%) of the incidental findings. Analysis of gender distribution of meningioma and sellar masses showed a Male: Female ratio of 1.3:1 and 1.2:1, respectively. A total of 87 histopathology reports on specimens obtained from surgical procedures performed on site were obtained. Sixteen patients with matched radiology (MRI) and histopathology diagnoses are obtained and presented. Conclusion: Brain tumours, white matter changes and sinusitis were most frequently reported in brain MRI studies, with the white matter changes being the most clinically relevant finding and sinusitis the most frequent incidental finding. Age distribution of identified brain pathology matches the literature. MRI was found to be utilized by males more than females, and the gender distribution of meningioma and sellar masses were found to be more prevalent in males in this series. Sample cases of brain MRI studies and histopathology reports are presented.